It’s the bank holiday weekend here in rainy old Blighty, and if there’s one thing us Brits love it’s a jolly good knees up on an extra day off work. What better way to celebrate than to whip up a nice fruity cocktail, even if it is grey and drizzly outside. This mint and passion fruit rum punch ticks all the right boxes. This is such a delicious cocktail and looks hella pro, the best thing is you can make it well in advance leaving you plenty of time to lap up all the compliments from your guests. 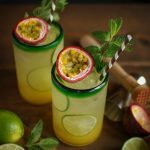 I’ve included the measurements for two cocktails bellow but feel free to double or even triple the recipe to keep you sauced up all weekend long. 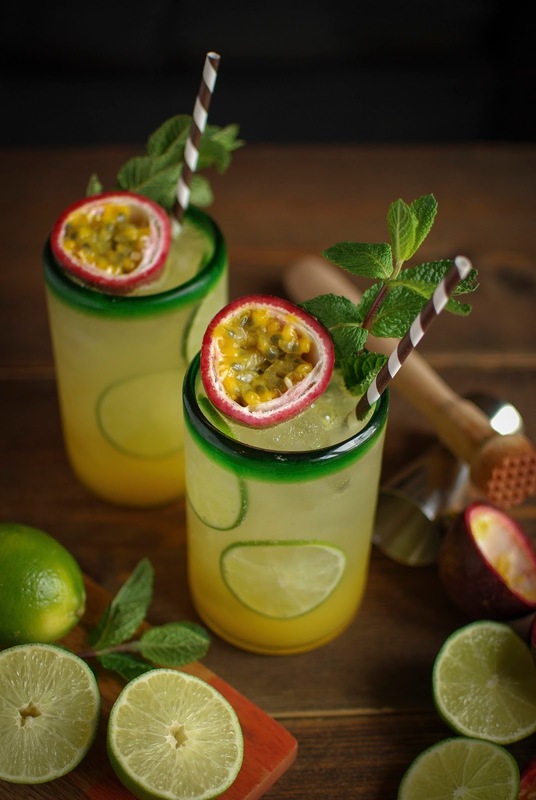 This is such a delicious cocktail and looks hella pro, the best thing is you can make it well in advance leaving you plenty of time to lap up all the compliments from your guests. 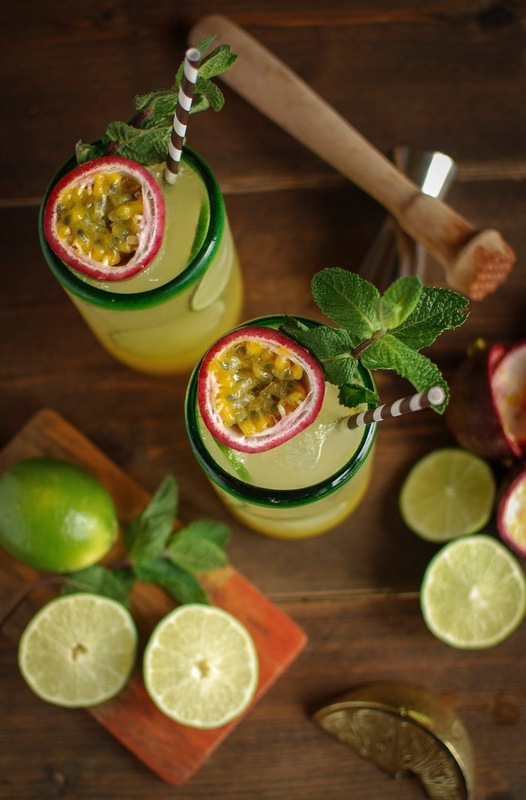 In a large jug stir together the lime juice, the pulp from three passion fruit, mint, lemongrass, rum and sugar syrup. Muddle it all together with a wooden spoon and place in the fridge for at least an hour or up to 24 hours. When ready to make your cocktail, strain the contents of the jug through a sieve making sure to press out all of the delicious liquid. Fill two tumblers with ice and push two slices of lime down the side of each glass, using the ice to keep them in place. Pour half of the fruity liquid in each glass and top up with tonic and ginger beer. Top each cocktail with a sprig of mint and half a passion fruit.